While plant-based burgers like Beyond, Impossible and Nestle’s soon to be Incredible Burger are shaking up the protein paradigm, the inevitable rise of clean meat will redefine the way we think about not only food but animals as well. 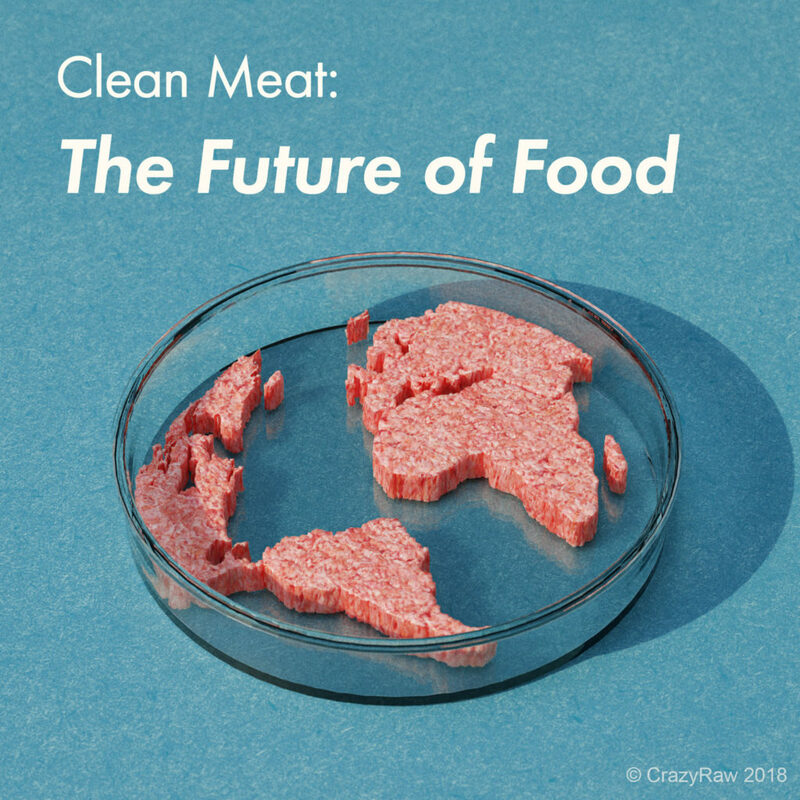 So what is clean meat exactly? In short, clean meat, milk, and eggs are animal products that are produced from cells rather than slaughter. A sesame seed sized biopsy is taken from a living animal and given the right conditions to make the cells think they are still inside that animal’s body. These cells continue to grow as normal, creating animal protein without the confinement or slaughter of an animal. Sounds like science fiction, but it is closer to reality than we may think. In Winston Churchill’s 1931 essay, Fifty Years Hence, he predicted the rise of what is essentially clean meat: “We shall escape the absurdity of growing a whole chicken in order to eat the breast or wing by growing these parts separately under a suitable medium.” While Churchill’s timeline was about 40 years off, his foresight into the future of food is remarkable. A collection of startups like Perfect Day, Just Inc and Finless Foods are working tirelessly on a commercial way to offer animal-free animal products to the masses. The initial cost of creating these products was exorbitant, but the prices are falling rapidly as advancements in technology accelerate. A controversial aspect of this research is with respect to the use of Fetal Bovine Serum taken from the heart of an unborn calf. This serum is used to feed the growing cells but creates a serious ethical obstacle in the quest for animal-free animal products. Just Inc is the only company to have said they can culture their cells free from fetal bovine serum but are tight-lipped on their tactics for obvious reasons. The race to redefine food is highly lucrative and these companies have received funding from powerful investors like Bill Gates, Richard Branson, Vinod Khosla, and Lee Ka Shing. While none of these clean meat, milk and egg products are on the shelves today, it is expected that they will be hitting supermarkets by 2020. The main deterrent from a widespread adoption will be cost. The research and development invested in these products will keep the prices high in its initial launch stages, making it cost-competitive with free-range, grass-fed beef. As more investors back these clean meat companies, the costs of these products will fall year after year until they are at price parity with conventional, factory-farmed meat. This will force the entire process of raising and slaughtering animals into a scrutinizing spotlight. Consumers will have to ask themselves how they can continue to justify the ethical and environmental concerns associated with conventional meat production when there is an identical product free from these moral issues. While it can be tempting to sit back and wait for animal-free animal products to hit the shelves before making a change, we simply do not have time to spare waiting for these products to become accessible. We need to make substantive changes in our lives today. As members of Westernized society, we have the luxury of eating meat, dairy, and eggs every day. The true cost of these products is largely invisible to consumers and is externalized onto society in the form of healthcare costs and environmental degradation and the untold suffering and slaughter of sentient beings which many consumers find all too easy to block out. We all have a responsibility to reduce our impact through our purchasing power. The vegan movement is gaining a groundswell of support in places like Israel, Australia, and the United Kingdom, and while resistance to change is greatly diminished, it still remains. There is an increasing and overwhelming realization that business cannot continue as usual. So will we rise to the occasion and alter our habits to protect our habitat? Or will we fall back into our patterns of consumption and wait for clean meat companies to save us from ourselves?